Hooray! Hooray! 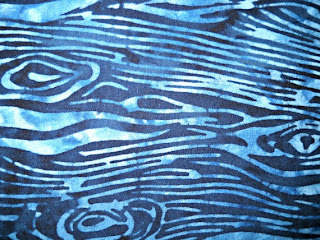 My first shipment of fabric from Island Batiks is here! And they are simply gorgeous, too. 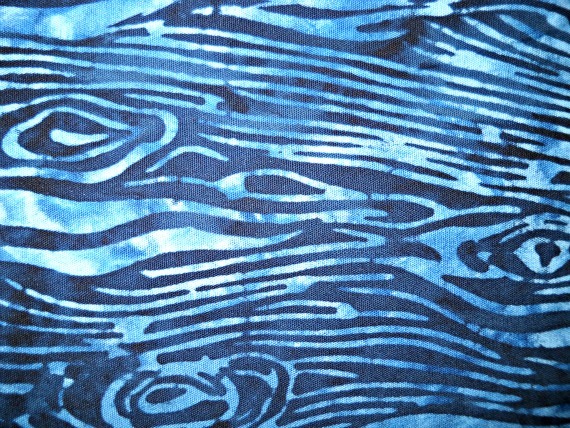 These batiks are all 100 percent cotton and are all handmade on the Island of Bali, Indonesia. Sumptuous! Here's what's available in the shop. Let me know if you need a special order fat quarter bundle. I will be more than happy to make up a custom package just for you. Also, this cute 10-1/2" x 10-1/2" trivet is available in the shop for only $15.75, plus shipping. Isn't he the cutest? Perfect to warm up your home during the snowstorm. We're having quite a few across the country this year! If you prefer to make your own, the PDF pattern is available on Craftsy, at My Pattern Store for the low price of $5.00. And, be sure to be on the lookout at your local newsstand! 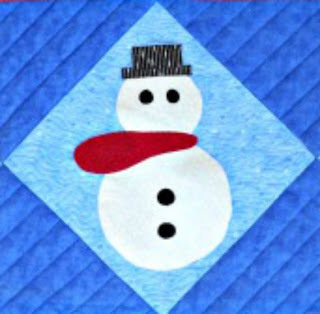 The next issue of Quilts from Quiltmaker's 100 Blocks should be out on March 5, 2013. I have a copy in my hot little hands, and it is just amazing! My quilt, Fresh 'n Fancy is featured on page 14. But seriously, the quilts in this issue are so fantastic, I could be happy for the rest of my life, just making quilts from the patterns in this mag. I just can't choose a favorite. 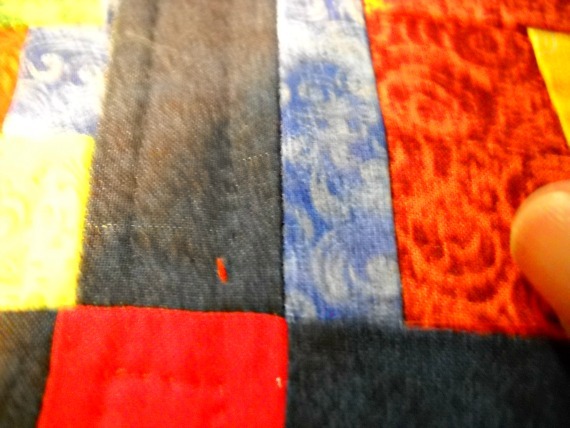 I'm sure I'll be revealing my quilt in a blog post, coming up soon. Red Alert! Red Alert! 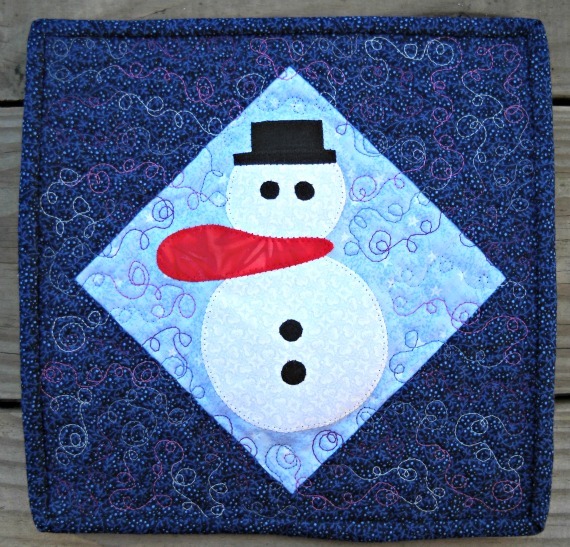 Just added to my my Craftsy Pattern Store, the Frosty Quilted Trivet! 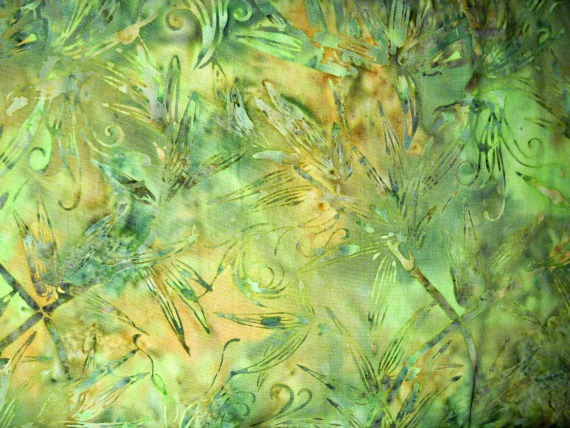 This is my second pattern available in PDF format. I'm only selling these on Craftsy, so click on over and follow me! 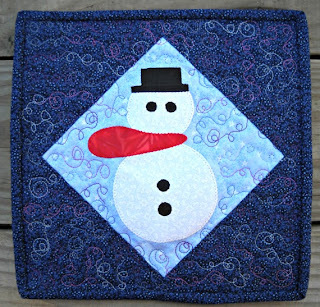 The Frosty Quilted Trivet is fun and quick to make in just one afternoon. 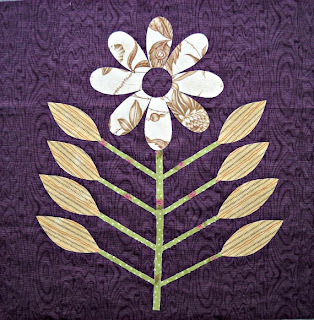 He features easy fusible applique, and requires only a few scraps of fabric. 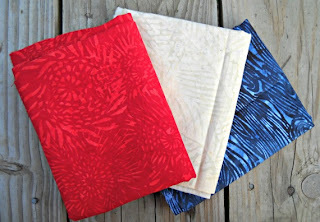 Make a few of these for gifts, using fabric right out of your stash! Stash-buster! Gift-buster! Start sewing now and have a bunch of these ready for next Christmas! 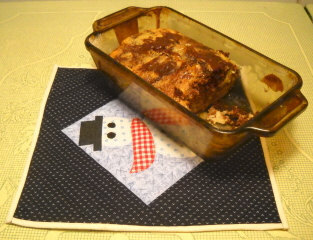 The finished size of this trivet is a handy 10-1/2" x 10-1/2", perfect for those 9" x 9" square pans, a casserole, or the delicious smelling marble pound cake, posing in the above pic. Yummmmm! Also available as a PDF pattern in Craftsy Shop, is the oh, so, popular Strippy Flowers Quilt Block. Stunning on a rich deep purple background. And....I can hardly contain my excitement! 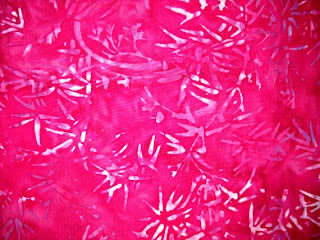 My first shipment from Island Batiks has literally just arrived on my doorstep! Wow! What can I say? 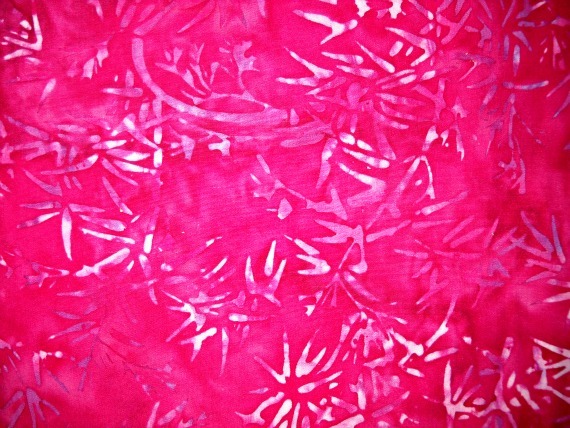 These fabrics are drop dead gorgeous! I hope to get them listed in the Curlicue Creations Shop sometime this weekend. Be sure to visit and take a look at these new fabrics. Hello everyone! I haven't done a shopping post for a while, but I haven't stopped shopping either! I thought I would share these two little treasures with you today. 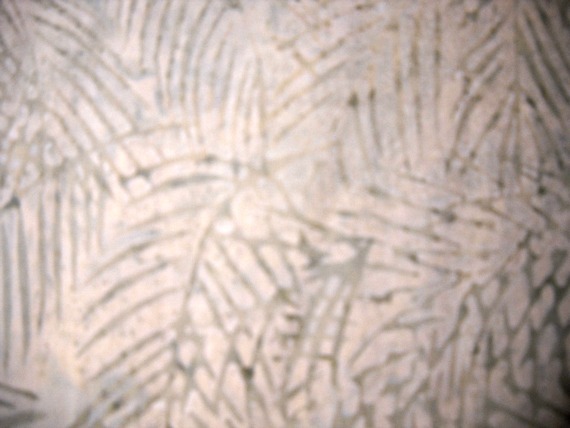 These are Quilt tiles made by Hill Design, Incorporated. I was delighted to find them! Back in the "olden" days when I was working as an office girl I would often visit a little gift shop over my lunchtime that had a large inventory of these tiles. I wanted some, but I never bought any, so these brought a good bit of joy my way. I hope they bring a smile to you, and maybe a little quilting inspiration, too. 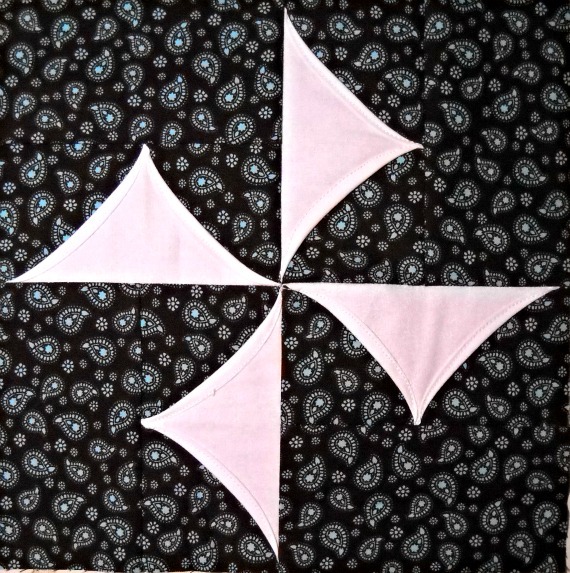 My first block, Jacob's Ladder, almost together. 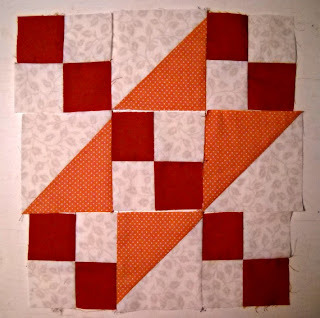 My first block, Jacob's ladder - Oooops! I sewed the last row on upside down on all of my blocks. I spent last evening ripping them back out. Why can't I be perfect all the time? 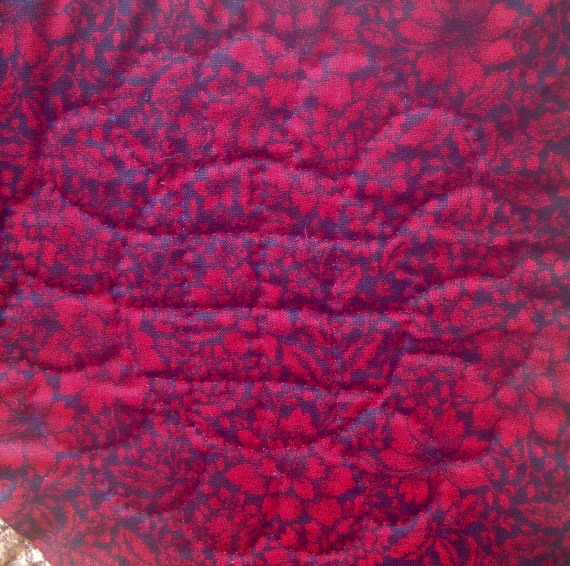 Also, we made this nifty block last time at my quilting group. 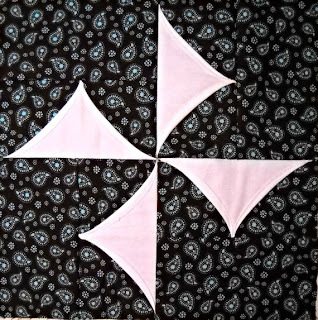 I just love the curvy flying geese and I so wanted to share it with everyone for a little quilting inspiration. 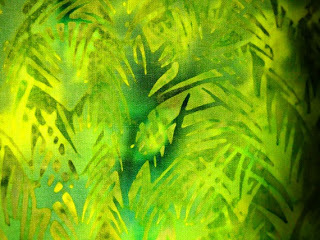 Also, in other news I will be getting some gorgeous fabrics in from Island Batiks later this week. They should be in the shop sometime over the weekend. 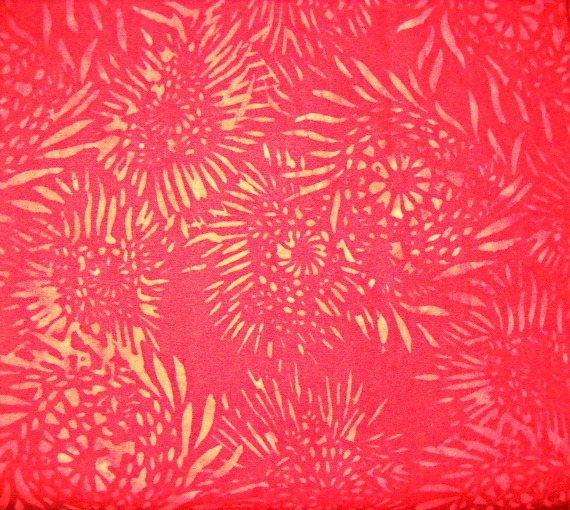 I will be sure to post some pictures of the new fabrics in next week's blog. So exciting! Good morning! (Or afternoon, or evening, depending on where in the world you are!) 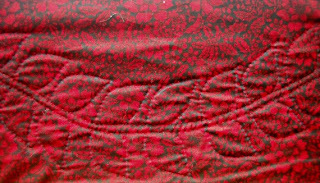 Today I'm going to talk about hand quilting - my way. I'm self taught, so I may do this a little differently than the norm..I'm not sure. I hope my insight can help some of you readers try this for the first time. 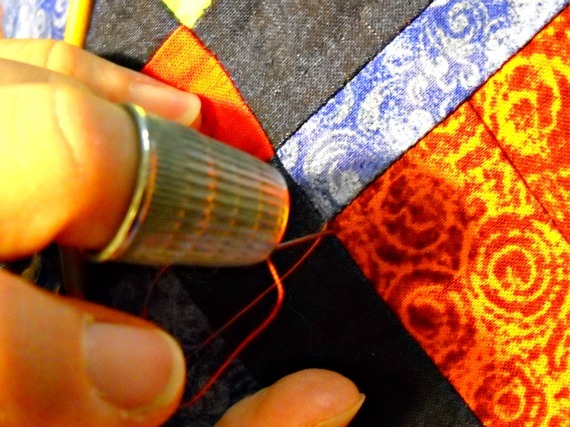 Many of you have expressed the desire to learn how to hand-quilt. 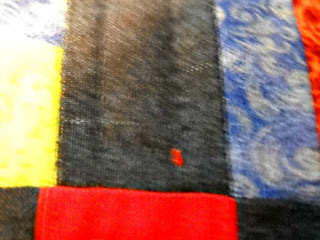 Above is a pic of a little sunflower I hand-quilted on my Wine and Cheese quilt. 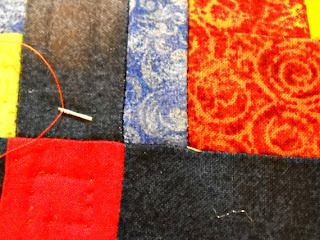 I enjoy hand-quilting on some of my quilts because it is relaxing and also good thing to work on while watching TV with the kids. 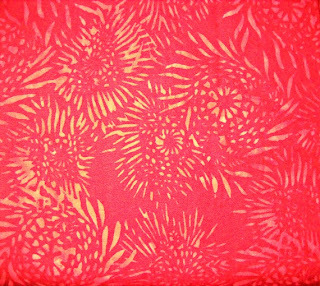 Let's talk about supplies for hand quilting. It will be a lot more fun to do if you start with the right notions. First, you have to have a thimble that is comfortable to you. 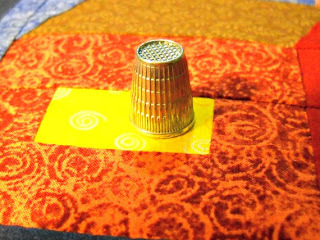 I started out using an all leather thimble, but after a few injuries (the needle piercing the leather) I decided that was not for me. Then I tried a thimble with a ridged top and leather sides. That became my favorite. 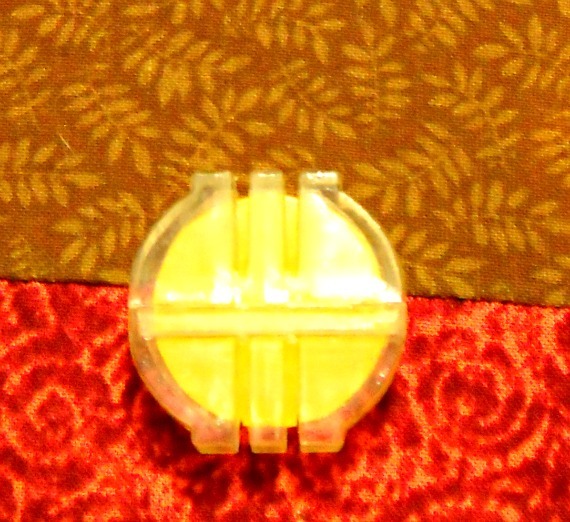 Occasionally the sides fall apart, but I found these can easily be repaired with some tacky glue. Currently, I am using the above thimble. It was a gift, so I tried it out. I really like the ridged top, but the all metal sides sometimes make my finger sore. You have to experiment - find what works best for you. 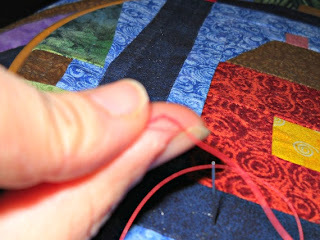 I find that I really prefer using thread that is specifically made for hand quilting. 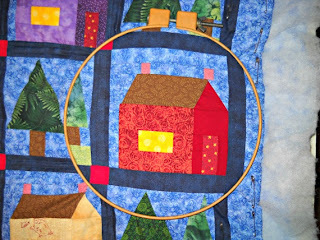 It will be marked "hand quilting" on the spool itself. You can find hand quilting thread at almost any fabric shop, quilt shop, or even your local Wal-Mart. I have also been known to use Y.L.I. 100 percent cotton machine quilting thread. I really like the texture of this thread. It works well for hand-quilting, too, just run it through a little beeswax to keep from tangling. 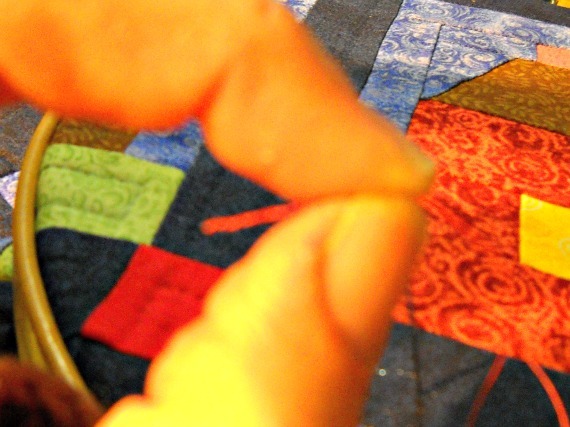 Having a needle that works for you is so important to successful hand-quilting, too. 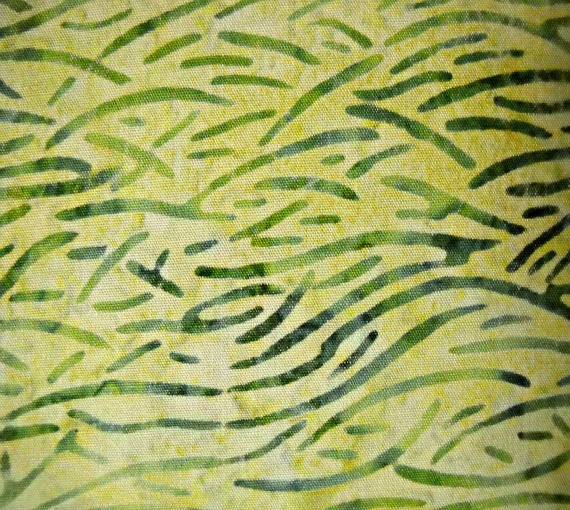 Again, you have to experiment to find what works best for you. 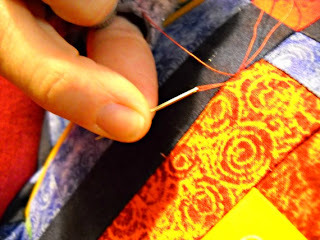 Generally, the smaller the needle, the smaller your quilting stitches will be. I am currently using Dritz Quilter's Betweens, Size 8. I think I purchased these at Jo-Ann's. 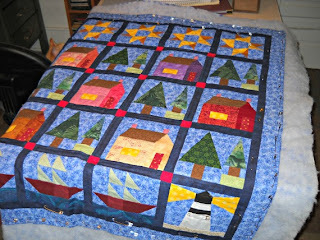 Above is my version of my South Shore Road Quilt. This design appeared in Quiltmaker Magazine in 2006 as a series quilt. 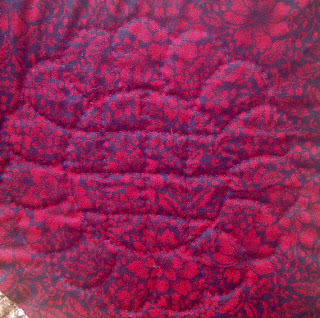 I sewed the top, sandwiched it together, admired it, and put it away to quilt another day! U.F.O. guilty! 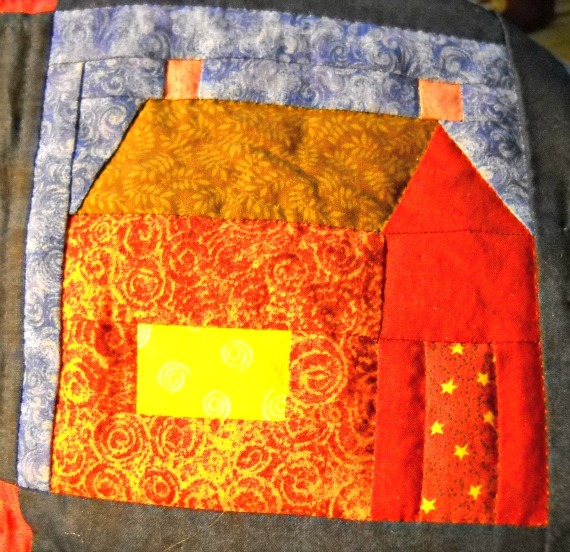 I have been working on it recently and have almost all of the house and tree blocks quilted. I am simply doing some echo quilting on the tree blocks, and in the ditch quilting on the houses. I'm going to demonstrate on the above house today. It's a little red house, with a precariously balanced chimney - oooops! Some people like to quilt with a hoop, some don't. I like it. I think it goes back to my crazy cross-stitching days. This is my favorite hoop. It's made of a sturdy, plastic material. I put the quilt section that I am going to be working on in the hoop as taught as possible without warping the block. 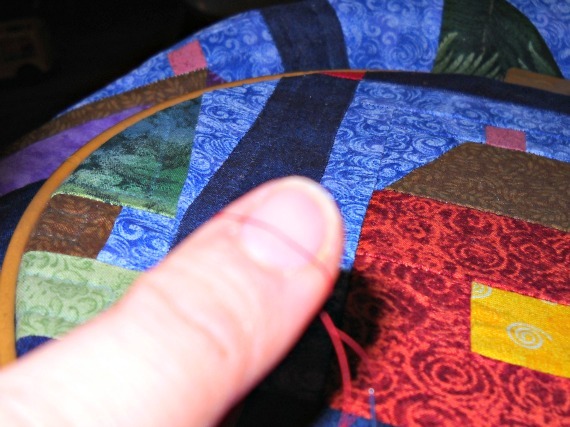 Make sure the back of your quilt is smooth within the hoop - no puckers! I wrap the thread around my index finger. I roll it off my finger, using my thumb. Pull the tangled thread to the end, between my index finger and my thumbnail. To bury the knot, I insert the needle about an inch away from where I want to begin quilting, slide it through the batting layer of the quilt, and bring the needle up where my first stitch will start. 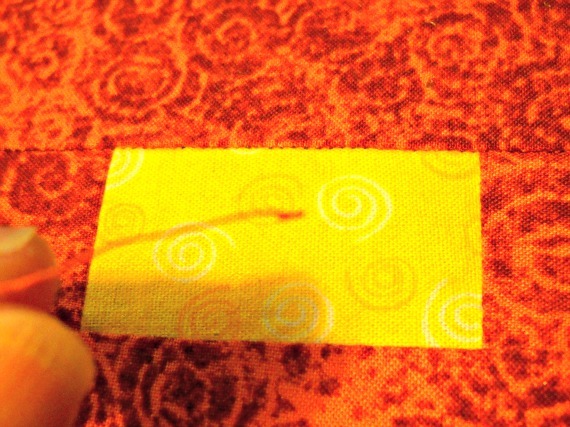 Pull the thread through so the knot is sitting on top of your quilt. 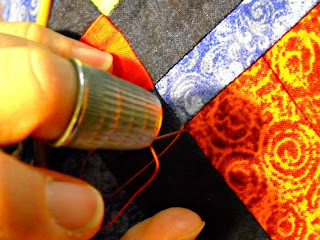 Then, give a little tug to bury the knot inside the layers of your quilt. 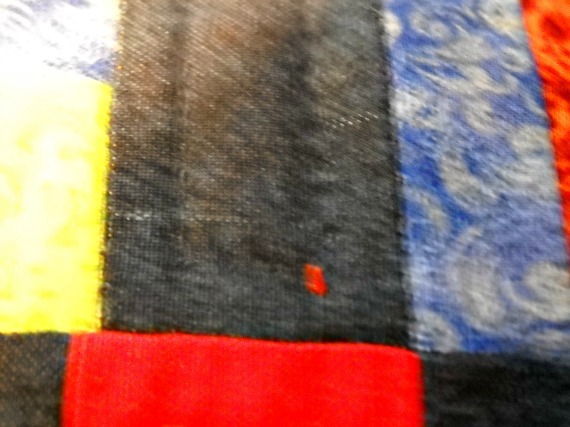 At this point, no thread should be showing on the back of the quilt. 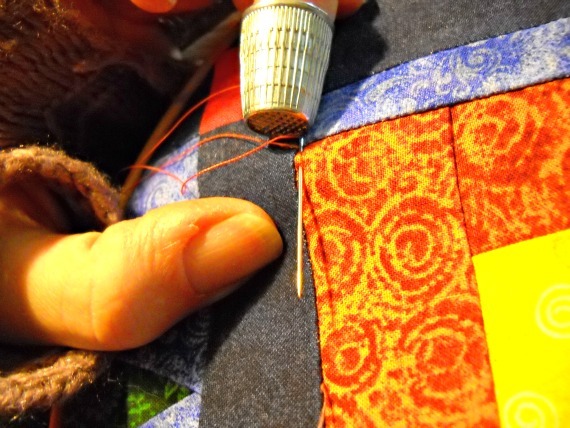 To make the first stitch, I reinsert the needle "a stitch away", and using my thimble, push only the tip of the needle through all the layers of the quilt. My other hand is underneath, and I am feeling for the tip of the needle with the index finger of that hand. 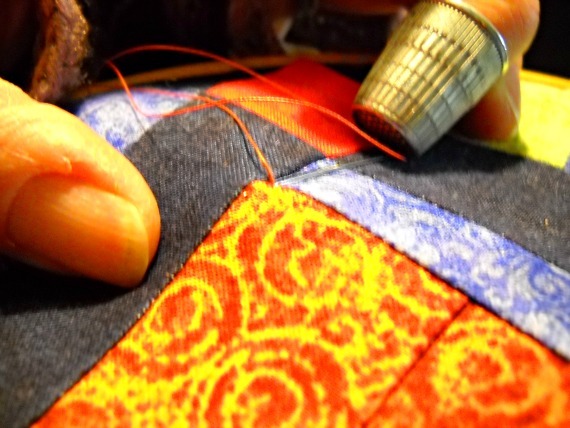 When I feel the tip of the needle, I rock it on the top of the quilt with my thimble, while also using my underneath finger to guide the needle back to the top of the quilt. Pull the thread tight and you have made one stitch! 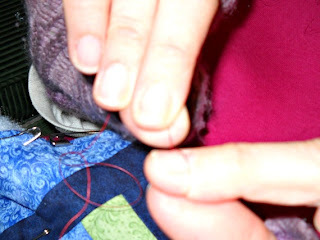 You can make multiple stitches at one time by simply rocking the needle back and forth through all layers of the quilt to pick up more stitches on your needle before pulling the thread through. I usually do 3 or so myself. If I load more onto my needle I find it tough to pull through. Doing multiple stitches will also help to keep your quilting line straight and even. 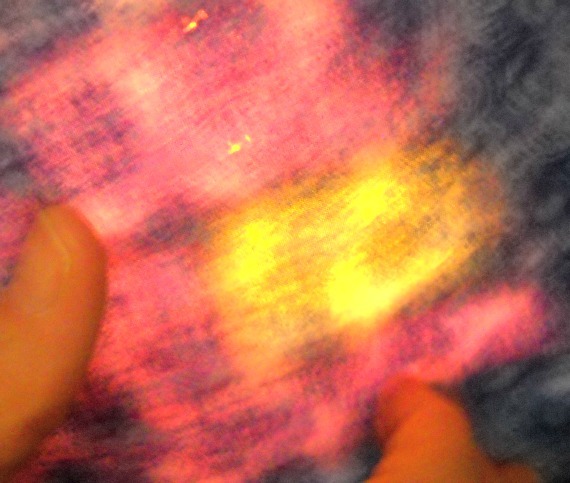 I tried to take a pic of the back of my quilt so you can see what my underneath hand is doing. You can kind of see it - kind of. 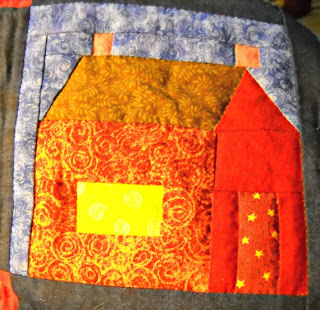 Here's how my house looks after in the ditch quilting. The chimney is still falling off! Look out below! 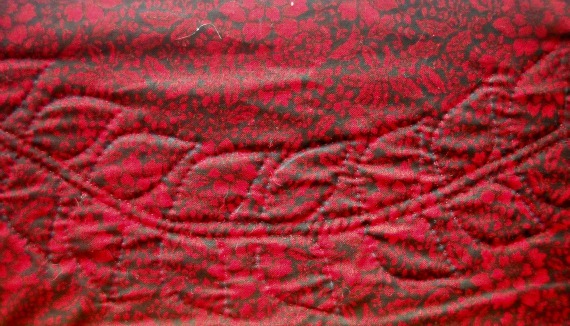 Here's a vine I hand-quilted onto the borders of another quilt. 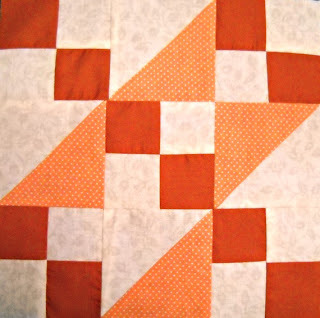 I used templates to mark the quilting beforehand. 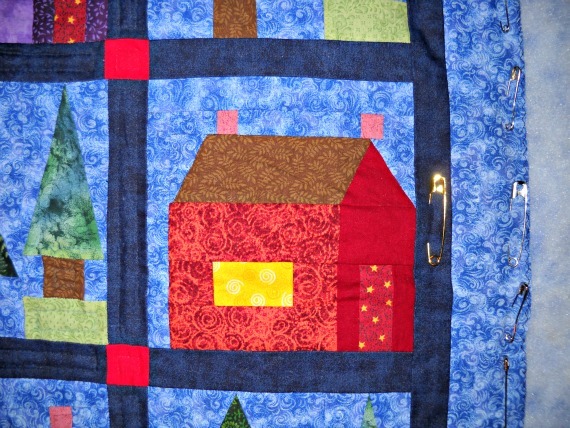 I hope this encourages you to take up your needle and try some hand-quilting!